How does affirmation work? The affirmation must seem plausible to the subconscious Mind. Most of the affirmations people use, fail because they tend to give an unrealistic message to the subconscious mind, a message that their logical conscious mind turns down as ‘impossible’, or ‘unrealistic’. If presently your financial prospect is not so good and you affirm: “I earn a million dollars”, this affirmation will not pass the barricade of your conscious mind; it will never reach your subconscious, because your conscious mind will reject it, labeling it as ‘untrue’. If you want to win, and win big in life, you have to know the power of affirmations and how to use them efficiently. In my previous post I have discussed about the basic principle of affirmations. Similarly, if you are overweight and you go on affirming, “I am very slim”, there is every possibility that your conscious and logical mind will reject it, labeling it as ‘untrue’, and it will not reach your subconscious. Then what is the solution? The very purpose of affirmation, you may think, is to improve on your current situation. So there is every possibility that your affirmations are going to be ‘false’, when you utter them in the present tense. Your conscious and logical mind, which is often skeptical, comes in the way. It does not allow the affirmation to reach your subconscious mind. Then how can your desire ever make its way to your subconscious? There are effective ways to do so. I have discussed this in details in my book “Affirmations and Visualizations: The Ultimate Secret”. One of the ways to impress your desire on your subconscious is to exert your power of choice. What is it? While your conscious mind will reject the suggestion that you are earning one million dollars, if your financial prospect is currently not very bright, it will not reject your choice to be a millionaire. It is your desire. It is genuine and believable to your conscious mind. Therefore, use the word “I choose” in your affirmation, instead of “I Am”. Instead of saying “I am earning $ 1000,000”, say “I choose to earn $1000,000 a year”. Instead of saying “I am slim’, say “I choose to be slim”, if you are overweight. Unquestionably though, the power of the word “I Am” is much greater than the word “I choose”, when it comes to manifesting your dreams fast. If you prefer to use the word, “I am”, there are effective ways to bypass your conscious mind, so that your desire reaches the subconscious directly; so that the logical, judgmental or skeptical nature of your conscious mind will not interfere with its working. 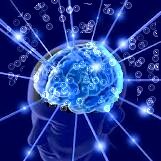 In my book, I have discussed many such techniques to bypass your logical, skeptical mind to deliver the message directly to your subconscious mind. In that book you will also find techniques of eliminating wrong associations with the object of your desire, which you want to realize through affirmations. This entry was posted in Affirmations and Visualization, Power of Affirmation and tagged Affirmation, Subconscious Mind. Bookmark the permalink.